For Bravo Company 4th Bn (Mech), 23rd Inf. the day started out as a routine road security mission on highway 26 outside Tay Ninh City. By mid-afternoon however, the Tomahawks found themselves on line behind eight companies of ARVN Regional Forces troops to supply help if needed. Before the day was over the combined force had accounted for 88 enemy dead. That morning the 872nd and 309th Regional Forces had uncovered heavily fortified NVA bunkers just 10 miles southeast of Tay Ninh City when they came under heavy small arms fire. Bravo Company 4/23 was put at their disposal in case they needed additional help. Air strikes and a light fire team were brought in to prep the area. The enemy positions held fast and a second air strike and two more light fire teams were called in to soften the area. "We waited until after the second air strike," said SP4 Larry Key of La Puente, Calif., "then we got on line with the ARVN's and started a sweep of the area. That's when we started receiving small arms and RPG fire. They came out of the ground only 10 feet in front of us." IN PRAISING his men for their courage, Captain Frederick A. Drew of Bakersfield. Calif. remarked, "The track commanders kept their heads when the firing started and set down our primary base of fire. I can't say enough about the courage shown by all of my men." Meanwhile, Alfa Company 4/23 was airlifted from a mission in the Crescent area back to FSB Rawlins where they boarded their APC's and headed out to join Bravo Company. "We didn't get much sleep that night" said PFC Jim Lester of New Vernon Ohio. "We were too keyed up from the action and worried that the enemy might start again before dawn." AT DAYBREAK Alfa and Bravo Companies searched the area of contact. Everywhere there were signs of a hasty enemy retreat. Weapons and ammunition were strewn throughout the area. The two companies policed up a great deal of enemy weapons including 14 Chicom grenades, 25 rifle grenades, 3 RPG launchers, 5 AK47 rifles, 60 60mm mortar rounds, 62 82mm mortar rounds, 900 rounds of small arms ammunition and l/4 lb of enemy documents. TAY NINH - Tran Hoang Minh was born in 1954 in Cam Giang village, Phu Khoung district, Tay Ninh Province. He is four feet three inches tall and weighs about 60 pounds, dressed. He has a quick smile and a quicker temper unchecked by fear. He is a 15-year-old who looks about 11, a trained Viet Cong assassin who can shoot a pistol from either hand while riding a motorbike down a city street. 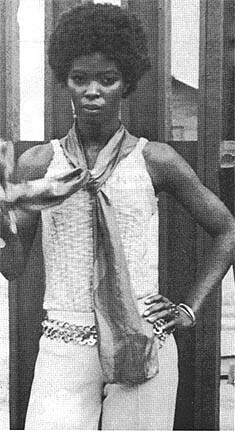 He proved his ability to do this in May, 1969, and was not caught. How he came to be doing these things began one day in December, 1967. Tran came home from school, where he was in the sixth grade finishing his primary education, and playing around the house until his father, a fisherman, came home in the evening for supper. IT WAS NEARLY dark when supper was finished; the candles were lit. His mother and older sister were cleaning off the table and putting the cooking pots away while he, his two older brothers and younger brother, talked to their father at the table. Two Viet Cong recruiters knocked quietly on the wooden frame of the open doorway and entered. Before the night was over they had persuaded Tran to join them. At the age of 13 he began to train, intensively, for warfare. After training for six weeks in the jungle, Tran was assigned to a Viet Cong provisional mortar company operating throughout Tay Ninh Province. After fourteen months with the mortar company he was considered capable enough to handle some more training and a more complex job. He was picked for sapper school, and received extensive training in deception and subversion tactics. He was taught how to shoot the pistol, field strip an AK-47 and other small arms, and how to lay out and set off demolitions effectively. He learned how to prepare graphic overlays of base camps, showing defenses, key strongpoints and nerve centers, which, when destroyed, would cause the most crippling damage. HE WAS TAUGHT how to grin when he was afraid and walk slowly when he wanted to run. He was taught judo, karate, and the finer points of silent killing. After four months of training he was a qualified assassin, sapper and intelligence agent, ready for a job. The job he got was a tough one. He was to become a double agent; a false rallier. 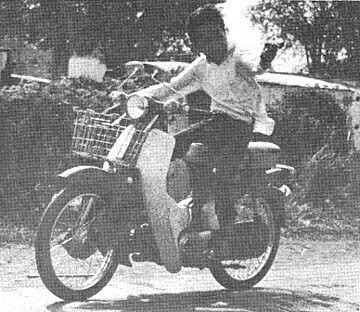 The first step was to Chieu Hoi (Rally), which he did, near Go Dau Ha, on November 7, 1969. He had worked hard at developing a good story; he was confident, he had an infectious smile, and after all he was only 15 years old. And as a clincher, Tran disclosed the whereabouts of two NVA cadre and some crossing sites on the Vam Co Dong River. The cadre were arrested and Tran later accompanied Navy men on the river, pointing out the NVA crossing sites. At the same time he was doing another job. He was gathering intelligence about the naval installation at Go Dau Ha, to make an overlay of the positions there for the planned NVA January, 1970, offensive. Because Americans tend to trust children, the VC deliberately recruit them, Tran says, train them and teach them to kill, gather information, lie with a smile and destroy. Tran Hoang Minh was a friendly youngster, a friend maybe, until you turned your back. 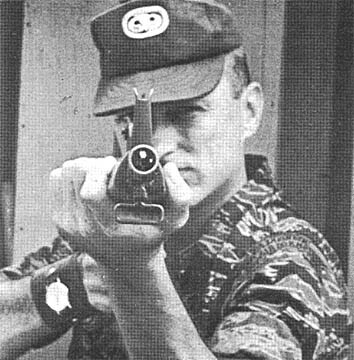 He carried a K-54 pistol and orders to assassinate any officer or official he could safely kill. LEARNS FAST - Tran Hoang Minh, a 15 year old false rallier to the 1st Brigade MI Team demonstrates techniques taught to him by the VC. Tran was discovered as a Double agent and brought in for questioning. Tran was extensively trained in sapper techniques and other undercover work. TAY NINH - Operation Cliffdweller IV proved trying but rewarding for all individuals, especially for SP4 Joseph D. Jorgenson. While serving with Alfa Company 3d Battalion, 22d Infantry Regulars on tactical sweep maneuvers, Joe uncovered a Honda motorcycle about 100 meters up the slopes of Nui Ba Den. While enemy caches were being evacuated, Joe personally dusted-off his booty, due to its urgent need of maintenance. Joe says, "With the amount of traffic on Nui Ba Den lately, it might be the ideal spot for a Service Station." CU CHI - Elements of Charlie Company First Battalion, 27th Infantry Wolfhounds, recently discovered a large enemy cache of rockets, anti-personnel mines and other arms while conducting a hedgerow operation in an area where the battalion's Patrol Base Fleck was once located. "Our second platoon was clearing hedgerows when we came upon the first signs of the cache," said First Lieutenant James E. Marcum of Columbus, Ohio the company commander. 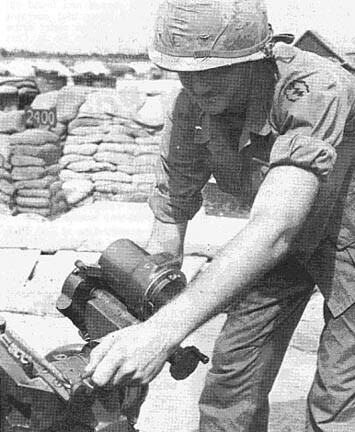 After clearing one particular hedgerow, Sergeant Stephen Stark from Brookfield, Mo., the second platoon sergeant noticed an unusual protrusion uncovered by the blast. Further investigation by Sergeant William Donovan of Wilmington, Del., a squad leader, revealed that the protrusion was actually a bangalore torpedo. "We just kept digging up one bangalore after another," Donovan said. When the opening was large enough for a man to get through Specialist Four James Theusch of Parkers Prarie, Minn., made his way down the hole. Theusch then began to send up B-40 rockets, mines and other arms. After tallying the day's find Charlie Company was credited with finding 85 B-40 rockets, 75 ChiCom Bangalore Torpedoes, 20 rifle grenades, 13 Chi Com ,grenades, 13 anti-personal mines, 12-82mm mortar rounds, one RPG with booster and one pressure type mine. WO1 Bobby J. Davidson, Co B, 25th Avn. Bn. WO1 Michael Finnigan, Co B, 25th Avn. Bn. SP4 Frank W. Juenemann, HHC, 1st Bn, 27th Inf. LTC George A. Custer, Dupont, Wash., recently assumed command of the 2d Battalion, 27th Infantry Wolfhounds replacing LTC Richard D. Moore who now serves as the S-3 of Long Binh Post. LTC Custer came to the 'Hounds' from 3d Brigade Headquarters where he served as Deputy Brigade Commander. NOW YOU SEE IT, NOW YOU DON'T - It took Hoi Chanhs to show Charlie Company, 1st Bn, 5th Inf (MECH) this tunnel entrance near Trang Bang. 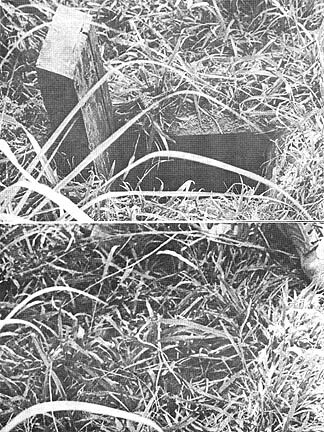 The Bobcats destroyed four tunnels and captured seven weapons and 1,000 pounds of rice. Five enemy soldiers inside the complex were killed. Another rallied giving the Bobcats new information and new leads. CU CHI - Brigadier General Michael J. Greene replaced Brigadier General David S. Henderson as an Assistant division commander in ceremonies held here recently. Before arriving in the 25th Infantry Division, Gen. Greene was the Deputy Commandant of the Army War College at Carlisle Barracks, Pa.
Born in West Point, N.Y., he later graduated from the U.S. Military Academy there in 1941. He holds a Master of Arts Degree in Foreign Affairs from the University of Virginia at Charlottesville, Va.
During 1963 Gen. Green served in Vietnam as the Executive Assistant to the Commander at MACV. 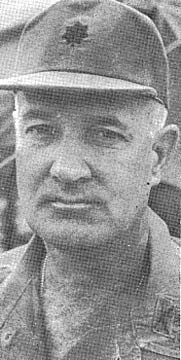 In 1964 he became the Secretary of the Joint Staff at MACV, where he remained until 1965. Gen. Henderson is now the Assistant Chief of Staff in charge of Civil Operations for Revolutionary Development Support at headquarters in Saigon. CU CHI - One of the advantages a mechanized infantry unit has is that it can quickly respond to enemy contacts anywhere in its area of operations within a minimum amount of time. Coupled with their speed as a reaction force is the mechanized unit's awesome fire power. Included in each company's devastating arsenal is the mortar platoon. The Mech mortars include both 4.2mm and 81mm tubes. Each unit has its own Fire Direction Center, and a basic load of High Explosive, Illumination and white phosphorous rounds are carried fused on the track. In a less hurried circumstance the tracks are brought to a halt and positioned. Additional ammunition is unloaded, armed and stored for future use. The mobile Fire Direction Center is set up and communication with the Forward Observers and mortar sections is established. Aiming stakes are set out and the tubes aligned. At the loud cry, FIRE MISSION!, the FDC and the gunner and his crew swing into fast action. CU CHI - It's a cardinal rule for a GI serving in Vietnam never to lose his head. SP4 Hector Santillana of Villa Marbella Aguadilla, P.R. and SP4 Marlyn Swanson of Morning Sun, Iowa, followed this rule to the letter when they were reassigned from A Btry, 2/321 Arty, 82d Abn Div to C Btry, 2d Bn, 77th Arty. 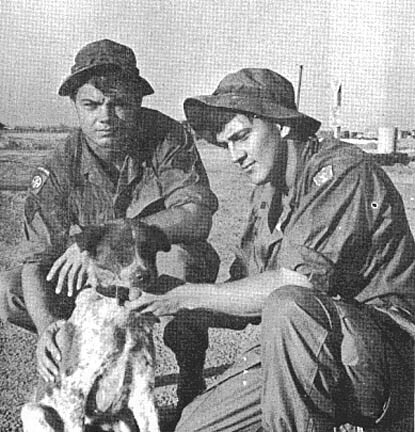 These men are the present owners of a well-mannered and loyal mongrel dog named 'Heade,' who has accompanied the two Redlegs far and wide in Vietnam. "Some guys bought Heade from some ARVNs when he was only a few weeks old, and he has been passed down by guys who are about to DEROS to guys with many months left on their tours ever since," said Swanson. "HE GOT THE name 'Heade' from someone who noticed that when he was just a pup his head was much larger than the rest of his body," said Santillana. "Now that he is grown, he has the right proportions, but he has been completely deaf since he was a pup from being so close to the howitzers when they fire." Heade is an artillery dog all the way. He has served at several fire support and patrol bases through his association with Alfa Btry, 2/321. "We first saw Heade at fire base All American I which is in the Saigon area," said Swanson. From there Swanson and Santillana became the dog's temporary owners and they took him to fire base Tracy in the Hobo Woods. After a short return stay at All American I, the trio convoyed to fire base Harrison. From Harrison A Btry, 2/321 flew to fire base Barber in the Pineapple. "THAT WAS OLD Heade's first ride in a chopper and he was pretty excited. But once we were under way, he calmed down and went to sleep," said Santillana. "When we left the Pineapple, he jumped onto the Chinook like a real veteran," he said. When the 82d was withdrawn from Vietnam, Swanson, Santillana, and Heade were reassigned to C Btry, 2/77 Arty. 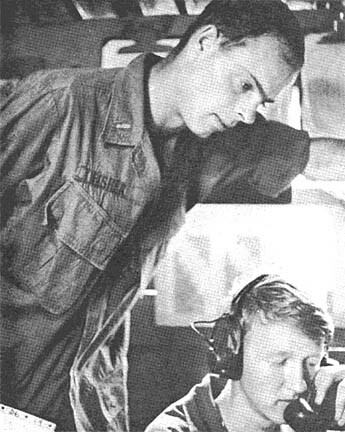 "At 90th Replacement Center in Long Binh we had to do some hard luck talking to persuade the pilot of the C130 to let us take Heade to Cu Chi with us," said Swanson. The three new recruits are presently with C Btry, 2/77 at fire support base Chamberlain. "I GUESS BEING deaf has sharpened Heade's sense of smell and his eyesight," said Santillana. "He can see like a cat and smell like a bloodhound." "He is always with us on bunker guard, and he gets up with us for every fire mission we receive, no matter what time of the night or day," Swanson said. "It really gives us a big lift sometimes when we fire all night long and we are tired to see that dog sitting there in the parapet watching us work," he said. "He is not just a companion to us, he is a true friend." Receiving firing data from the forward observer and plotting grid locations. FSB JACKSON - It happens every day - infantrymen engage the enemy, get their heads down and call in artillery support. Within minutes high explosive rounds saturate the enemy position. 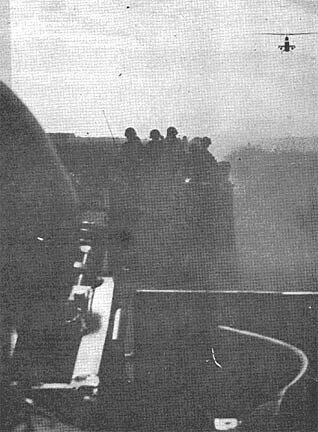 The thunder of rounds crashing through the atmosphere is the most widely known aspect of artillery. But, how does a round reach the target? A visit to B battery, 2d battalion, 77th artillery here provides insight into the mechanics. The battery is divided into three principle parts. One is the the range and deflection (direction) from the battery to the target. 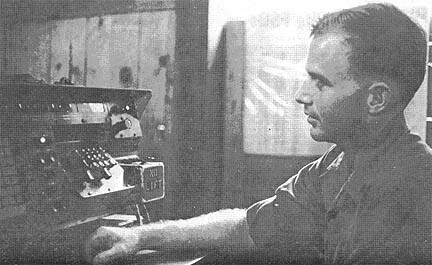 Another man feeds the data received from the FO team into a FADAC electronic computer. FADAC digests the data and produces the correct range, deflection, and quadrant (the height the howitzer tube must be set at to achieve the desired range) to be sent to the guns. Simultaneously, the HCO calculates range and deflection manually and checks his statistics against those produced by FADAC. The double-check system is extremely important because accuracy is critical. A chief computer insures that all the members of the FDC perform their duties with speed and accuracy. When all the needed data has been assembled and double-checked and it is assured the target is clear of friendly troops and civilians, the data is telephoned to the parapets. There the cannoneers set the howitzers. The howitzer sections are the muscle of the battery. They maintain the guns and aim them and prepare the rounds and load them. Then it's stand and wait for the signal to fire - usually within minutes of the FO's first report. 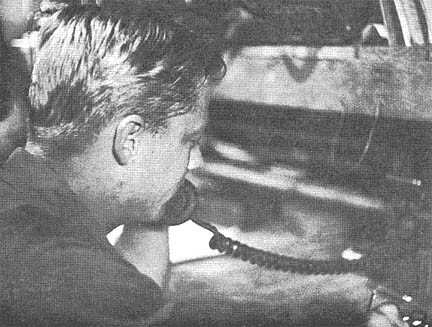 Specialist 4 John Hathaway waits for computations on firing data. 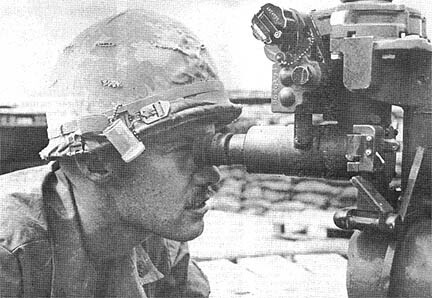 CU CHI - Corporal Ralph C. Blumenhagen has been shot in the muzzle! That is, he was shot in the muzzle of his weapon. Corporal Blumenhagen, of Willimantic, Conn., a member of the Pathfinder Detachment, 25th Aviation Battalion, 25th Infantry Division, was working with Company C, 3rd Battalion, 22d Infantry Regulars recently. At the time, the company was part of Task Force Jones in Operation Cliffdweller IV. 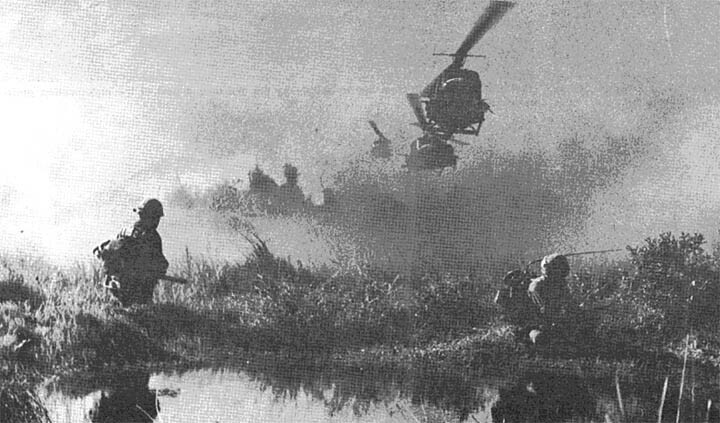 The company was working on the western side of Nui Ba Den, and Blumenhagen had accompanied it in order to direct mountainside landing of resupply and dust-off helicopters during the combined operation. "We had thought that previous bombing of the area had cleared most of the enemy out of this particular section of the mountain," he said. "Suddenly, we found ourselves pinned down by sniper fire which ricocheted between the boulders where we had taken for cover. "I told the pointman to throw a hand grenade at the sniper's position, which was only about 30 feet from us, and I would cover for him. As he prepared to throw the grenade, I carefully leaned around the edge of a rock and tried to zero in on the sniper." "Just then, my rifle seemed to recoil as if I had fired it, although I didn't think I had. When I looked at the muzzle of my weapon, I found that I had not fired, but the sniper had fired at me. An AK-47 round was lodged tightly in the end of my rifle's barrel." "I used to work for Colt Industries in Hartford, Conn.," grinned the lanky Pathfinder. "When I get home, I can tell them what a good rifle they make. Mine stopped an AK-47 round head on." LAP DIEN - Power to ya, baby. Music pow, pow, power came to this small village near the Hau Nghia Province capital at Bao Trai. The power of news and information came too. "It's a new idea in psychological operations," said Captain Frank Smith of Arlington, Tex., the 3d Brigade Civil Affairs Officer. "We're passing out small, transistor radios to villagers in out-of-the-way locations." The presentation at Lap Dien was just the beginning. Radios by the thousands are on order, according to Smith. They will be passed out during Integrated Civic Action Projects (ICAPs) and by members of Armed Propaganda Teams working in rural back areas. The program is being sponsored by the Joint United States Public Affairs Office. "Not only will the Vietnamese be getting news and information concerning the Saigon government, but they'll be able to listen to good Vietnamese music too," said Smith. FSB PERSHING - Crackers, peanuts, jelly and jam and spam, batteries, flash cubes, cameras and film, cigarettes, matches and lighter fluid and dartboards, cribbage boards and cards, and snacks and books and magazines are just some of the many things you can't buy in a Fire Support Base. Unless of course you're lucky enough to be visited by a mobile PX which is exactly what's happening at Fire Support Base Pershing and the other Fire Support Bases within the Tropic Lightning Division. When the PX Conex arrives all you see is a crowd and all you hear is, "I'll take three of those, four of these, one of that, and yes I want some of that and I need two of those." After things have quieted down and the roving PX has moved on all you'll see is a lot of well supplied G.I. 's walking around with armloads of necessities and satisfied expressions on their faces. Specialist 4 Charles Gillentine of Tupalow, Miss. is part of a two man team that is responsible for moving the PX from place to place. DEAR SGT. CERTAIN: All the guys in my section love reading your column. We have gained valuable information which has made our tour here much easier. You have passed along some important facts that we all should know. The men have been talking and although the Tropic Lightning News reaches a lot of guys we think that you should head for bigger and better things out of the division. Don't think we're trying to get rid of you, we're not. Is there any chance that you would go Vietnam-wide like Shortimer Sam? DEAR PIO: Hold everything! I appreciate your concern for me but I'm at home with the 25th division. It's my life work passing along information and answering questions the best I can. It's my job to answer questions like "do 25th division MPs really have heads under those helmets?" or "does the chaplain have a 'special friend' who gives him water to water his lawn?" These questions and many more like them are important to each and every one of you. DEAR SGT. CERTAIN: We were on a river patrol the other day and some of the guys claim they saw a submarine on the Vam Co Dong River. We hadn't been in the sun that long so it couldn't be that. It didn't look very big but it operated under the water and came up every once in a while. Please settle this for us. DEAR RAT: Well, needless to say your letter came as quite a shock to me. I did a little investigating myself and found out a few interesting things. There is indeed a thing that operates in the Vam Co Dong. 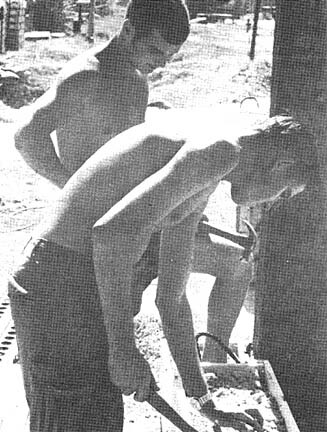 What you saw was a 50 gallon water drum operated by an ex-VC Navy Captain who thinks he is Curt Jurgens. He has a crew of three on board with him and they sail around looking for Robert Mitchum. CU CHI - The name remains the same. Only the place has been changed. The home of the Tropic Lightning Division's 2nd Battalion, 12th Infantry Warriors, Fire Support Base Pershing, is now wearing a brand new uniform these days, thanks to the extensive remodeling program carried out recently. More than 200 ragged and battered sandbag bunkers have been torn down and replaced by less than half this number of eight man sleeping bunkers. The new bunkers have been constructed of dirt-filled 4.2 inch and 105mm ammunition walls and beam supported PSP and sandbag covered roofs. Of course, as a result of the new facilities the Warrior infantrymen's standard of living has been greatly improved. Sergeant Mike Kittle of Richmond, Va., remembered how it used to be. "When I came to Pershing back in late January of '69, I moved into an underground bunker with several other men from Delta Company." "At that time there was no berm at all," Kittle continued. "Inside the two strands of concertina wire were an array of claymore mines, then the trench line and finally the bunkers, and that was it." Improvements at Fire Support Base Pershing accelerated in August when Lieutenant Colonel Burton J. Walrath Jr., the Warrior Commander, initiated a new building program. With the increase of traffic movement within Pershing it was decided that a few rules of safety were in order. 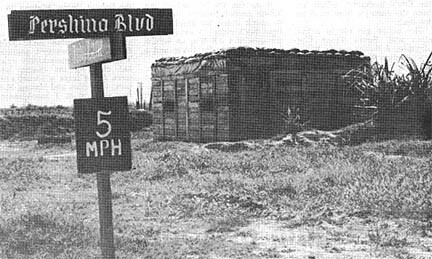 A five mile per hour speed limit was imposed on all vehicles moving throughout the Fire Support Base. Direction, stop and other cautionary signs were placed at strategic locations and intersections. 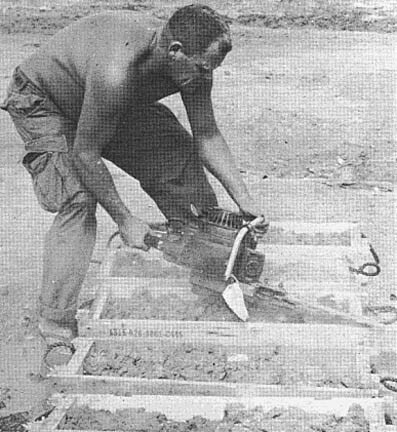 SEE-SAW - Master Sergeant Billy Muir of Grovetown, Georgia, levels off the edges of 4.2 ammo boxes to form the foundation of a new eight man bunker. WILL STAND FOREVER - New bunker stands along the berm line at the junction of Judge Lane and Pershing Blvd. A FLOWER BOX? - Not really. 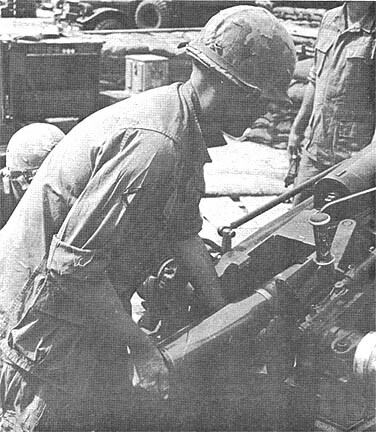 Sergeant Roger Cheek of Snyder, Okla., positions an ammo box while Sergeant James G. Westmoreland of Royal Oak, Mich. looks on. NEW BUNKERS - built from top to bottom by the Warriors a part of the redecoration project between missions. FACE LIFT - The recently completed Tactical Operations Center (left) and the Conference building at Fire Support Base Pershing. TRUNG LAP - It was a very impressive sight, the 2nd Company, 1st Battalion, 49th ARVN Infantry and elements of the 1st Battalion (Mechanized) 5th Infantry joining forces to set up a night laager north of Trung Lap. 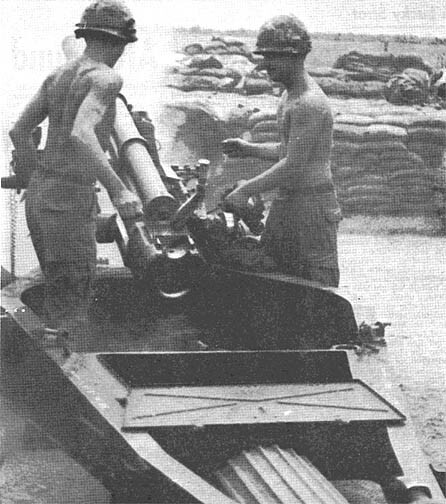 The ARVN's supplied most of the manpower and combined their experience with the Bobcats' Charlie Company and Reconnaissance Platoon, plus 4.2mm mortars and four tracks. Finally the 65th Engineers added two of their Combat Engineer Vehicles and a Demolition crew to the task force. The first night of the operation called for two ambushes being set up by the ARVN's. Both were successful. Five enemy were killed. Early the following morning a local guerrilla found the US-ARVN force too much to contend with and Chieu Hoi'd to the forces at their laager site. The Hoi Chanh agreed to lead the ARVN's, accompanied by the Bobcat Recon Platoon to a location where other enemy were hiding. As they began to sweep through the area they started to receive small arms fire from the enemy's position. The ARVN's immediately reacted, charging the enemy who were firing from a tunnel complex. Grenades and blazing M-16 fire resulted in 7 more enemy killed. Later a sweep of the area resulted in the detection of nine bunkers which were destroyed by the demolition crew. CU CHI - The Boi Loi Woods are now the stomping grounds of the 3rd Squadron, 4th Cavalry. A recent move from Fire Support Base Hampton north to Wood III made the treacherous Boi Loi's the Cav's backyard, which has been the enemy's front yard for too long. The action got off to a fast start with Bravo Troop Cavalrymen. A foolish enemy took a few random shots at a gunship working the area and brought the Fire Brigade troopers down on their heads within a matter of minutes. Captain Charles Garfino of Flemmington, N.Y. 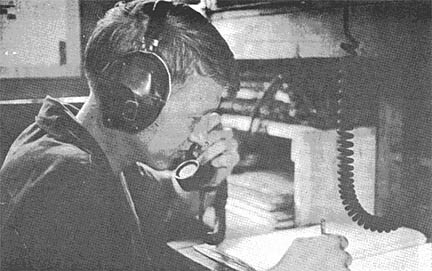 Commander of Bravo Troop, said, "While moving to our night laager position I received a radio message. One of our gunships had just taken fire from a nearby area. "We acted as a reaction force," Garfino continued. "It took us about ten minutes to reach the suspected area. We opened up with everything we had. We drew back and the gunships came in to work over the area. Then we went back in again." When the smoke cleared the Troop moved through the area to check it out for results. Ten dead NVA regulars were found along with 4 AK-47's, an RPG-2 launcher ready for firing and 6 additional rounds. Later the Troop Commander made a final observation, "The whole operation worked beautifully. We never took a single round, and my men as usual did an outstanding job." With the tough troops of the 3/4 Cav prowling the Boi Loi's now still another enemy stronghold is rapidly becoming a safer place for the G.I. 's than it is for the NVA and VC who once could find refuge there. It Could Be A Stalemate But . . .
TAY NINH - It is the 'Battle of the Sounds' here. One hootch against the next, seeing who can drown out the other guy's superspeakers and hi-fi stereo superheavy hits. One guy started it off by playing his radio loud, or a little too loud, at night. So, the guy in the next hootch got a bigger radio and plays it louder, and later, than the other guy to drown him out. For a while the other guy tries to stand it, all the time scheming and saving his money until the time comes when: lo, in the P.X. arrive two bigger speakers than had ever been heard of before. A crowd gathers, looking them over and pricing them; measuring specifications and feeling them in their clear plastic wrappers and styrofoam cases, until, at last the saver of the money pushes his handful of crumpled twenty dollar bills through the onlookers to the counter girl and beckons to her. He carries one of them, his buddy, a chunky M-79 gunner from Minicav, carries the other one. They are the hugest of the huge. No one had ever seen any speakers that big before. Each one of them weighs at least 90 pounds, dry, solid weight. They are all boxed up in metal banded styrofoam packing cases, until they arrive at the hootch, carried on the shoulders like weapons. THEY ARE MISSILES to destroy the enemy's complex: A more complex, complex, against a distinctively inferior enemy. It was obvious the enemy's speakers were much smaller than these. During the nights the 'heavy-hits' rampaged through the air, walls, ground and sky. No walking, crawling thing was safe from "THE SOUNDS." They drifted into every corner of every hootch, and bunker, in the area. There was only one thing left to do and that was to resort to the old adage: There's safety in numbers. Groups of fellow 'hootchmen have chosen sides and each side gathers, a little group of intent tape-recorder technicians and expert operating knob manipulators, doing their work expertly, en masse, with six or seven of the "largest possible" speakers lined up like a charging platoon aimed at the enemy hootches' fly-screened windows . . , and who can win? It doesn't matter any more. They are both so loud they drown each other out, which neutralizes them each: both sides the winner, both sides the loser equally, and the victims caught in the middle (those innocents who don't own their own weapons) listen, tuning in, after extensive practice, on either channel at will. THE WAR OF THE SOUNDS is rather enjoyable, to the heavy sleeper who is out of range, far away and safe. But, the man who lives close to the battle hootches, unarmed with sounds, is like a silent majority (or minority), silently suffering. So, he secretly begins to stow away money, and sometimes people see him browsing in stereo tape recorder catalogs. So people wonder.